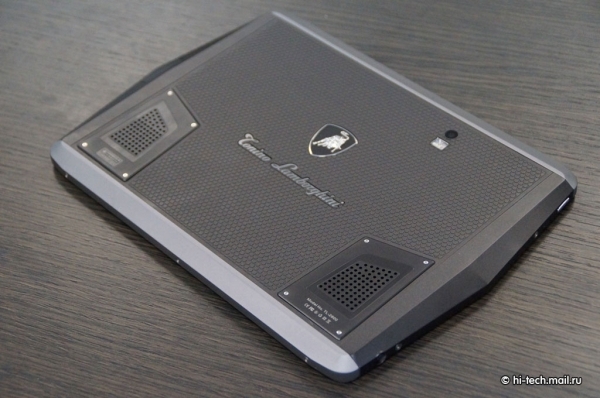 Lamborghini has announced their new range of luxury phones and tablet for the Russian market. The first of the bunch (above) is a simple feature phone called the TL688 Spyder that has a 2-inch QVGA display, 3 megapixel camera with video recording, front facing camera, 4GB internal memory and GPRS/EDGE connectivity. Being a luxury phone, however, it has a hand-made leather body and a leather back. It also has a rather unique shape that looks more like a TV remote than a regular phone. 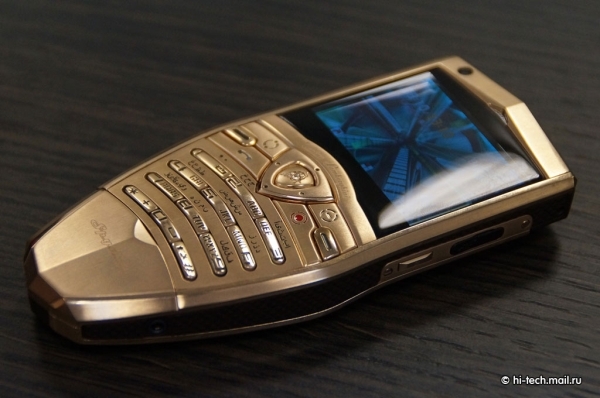 The second one (above) is also a feature phone called TL820 Spyder 2. This one has a 2.4-inch VGA resolution display, 5 megapixel rear camera and VGA front facing camera, 1GB internal memory that can be expanded up to 16GB and a 1,200mAh battery. 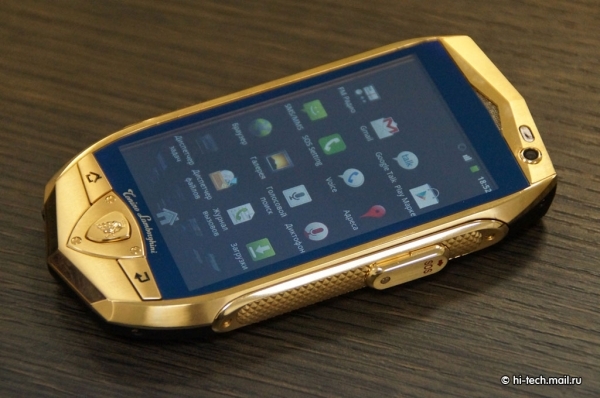 The design of this phone is similar to its younger brother and also gets the same gold and leather treatment. The third phone - the TL700 - (pictured above) is actually an Android smartphone but unfortunately runs on Android 2.3 Gingerbread. It runs on an unknown Qualcomm processor and has a 3.7-inch 800 x 480 resolution display. There is a 5 megapixel camera on the back and VGA on the front, 4GB internal memory and a 1,400mAh battery. 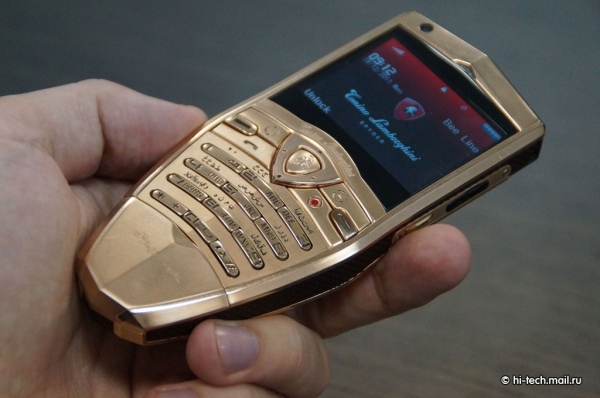 The phone has a gold plated body, sapphire glass coating for the display and crocodile skin back. The last device, the L2800, is an Android tablet. It has a 9.7-inch, 1024 x 768 resolution display (same as the iPad 2), 1.2GHz Qualcomm processor, 512MB of RAM and 4GB internal memory (expandable). Sadly, it also runs on Android 2.3 but it will be updated to Android 4.0 in future. Now comes the price. The base TL688 Spyder will set you back by around 60,000 - 70,000 Russian ruble ($1,829 - $2,134). The TL820 Spyder 2 will cost 80,000 ruble ($2,438), the TL700 around 90,000 ruble ($2743) and the L2800 around 75,000 ruble ($2,286). No release dates are available at the moment. To check out a lot more pictures hit the source link below.